INF-050 tyres are designed for ultra-high performance models and usage. These tyres deliver the best results in all areas from grip and traction to water dispersion and from smoothness and comfort to noise reduction. These options are excellent choices and are not only the highest quality but also fantastic value because of their cost and lifespan, which has increased drastically thanks to advances in tyre design and production. Don’t miss out on INF-050 tyres from Infinity. 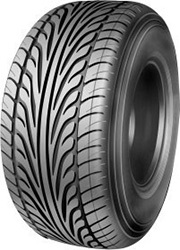 These tyres deliver the best results in all areas from grip and traction to water dispersion and from smoothness and comfort to noise reduction.These options are excellent choices and are not only the highest quality but also fantastic value because of their cost and lifespan, which has increased drastically thanks to advances in tyre design and production. Don’t miss out on INF-050 tyres from Infinity.